Technically speaking, the first day of spring is March 20th, which means it is perfect timing to swap out your winter fragrances in exchange for new scents. I remember years ago setting up collateral for new fragrance launches when they first hit the market- oh the joys of visual display. Although I had the unique pleasure of having to unbox and assemble the collateral, it was actually quite exciting to get a sneak peak of the celebrities, models and actors featured on the promotional signage. To this day, I remember a customer tried to negotiate with me to sell her P. Diddy’s promo material for the release of the fragrance Unforgivable by Sean John. I’m not even sure what she would have done with the life-sized cut-out of him…Needless to say I watched her like a hawk… I could not afford to lose material for one woman’s obsession! Getting back to spring scents, the round-up of fragrances below should prep you for the first day of the new season. They are a combination of my personal favs and referrals from others who have stepped up their fragrance game. If you’re looking for a fruity more bubbly scent that is comparable to the original Daisy fragrance then this is the one! The light wood base infuse of subtle but sharp glimmer of musk will have you walking on sunshine in no time. Plus the bottle is super cute! Natural Raspberry, Grapefruit, Pear, Violet, Wild Rose, Apple Blossom, Musks, Cedarwood, Plum. Whenever I smell this perfume on someone walking by it instantly gives me irresistible joy- it’s contagious! 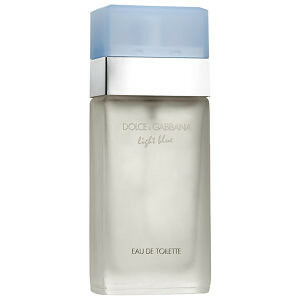 Its feminine scent is apparent from the intense combination of jasmine and white rose. You can never go wrong with this one. 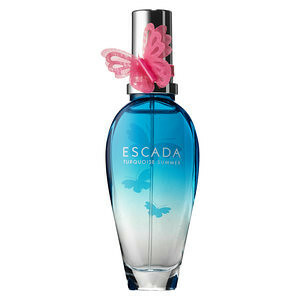 The subtle butterflies on the bottle are a delicate reminder that you’ll be caught up in the beauty of sunshine, flowers and pure happiness with this fragrance. This scent has a fruity floral scent to it that is yummy and perfect for the feeling of spring freedom. 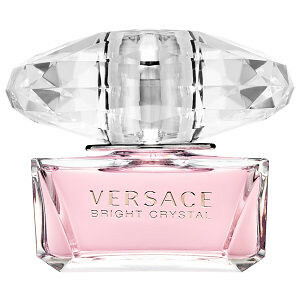 I’m a huge fan of the Versace fragrance line and the Bright Crystal is a personal fan favorite. It’s fresh, sensual and feminine all over with warm notes of musk and amber. 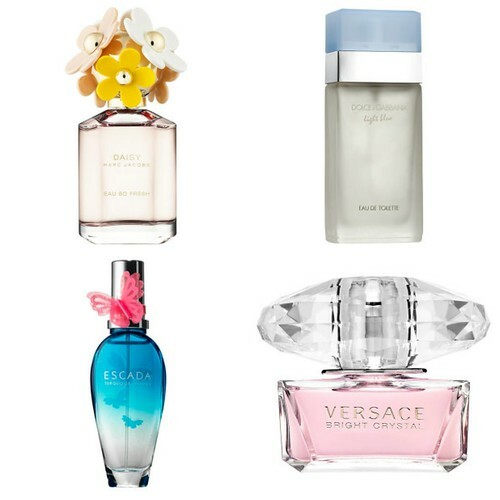 Which fragrances are you looking forward to wearing this spring?